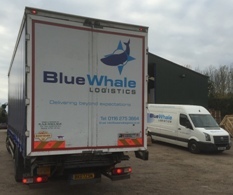 Blue Whale Logistics Limited based in Leicestershire UK are a privately run Logistics, Courier & Haulage Company with over 30 years experience. We are here to assist you or your company with any logistical requirement from a small van to a crane or moffet vehicle we can truly accommodate for all your logistical and storage requirements. From one pallet to a thousand we can handle your storage needs with our experienced warehouse staff that are always available. 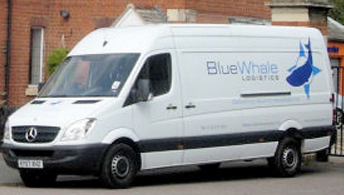 All of our delivery services operate 24 hours a day 7 days a week throughout the whole year. We offer a same day service for your time critical deliveries or an overnight service for your not so urgent consignments. No matter what the urgency you can be sure we take pride in the safe arrival of your goods.